It may only be February but it’s time to start planning and prepping your summer events. Portable toilets are in high demand because everyone needs them, by law, at their festivals, parties or events. So what better time to start organising? Luckily, we have high availability on all of our products! However, we know how stressful and time consuming organising events can be, so why not start early and make for less work later on? So, what makes a perfect event? To start with, the location of an event can make or break it. It has to be the right size. If it’s too small, everyone is cramped and falling over each other. On the other hand, if it is too big, it looks empty and as if no one has turned up. Location is key! Make sure you prepare for bad weather, if your event is being held outside. Of course, if you’re hosting a music festival, the guests don’t seem to care about getting drenched in the rain. But if you’re planning an outdoor wedding, take precautions. The comfort of your guests is more important than the fancy extras, most of the time. Your guests need to be able to relax and have fun. Make sure there are enough welfare facilities for them and food and drink available. When your guests are comfortable, they’ll have a good time. How legal is your event? The HSE have regulations and standards in order for your event to be lawful. The rules state that guests and workers should have easy access to toilet services and washbasins should be in a close proximity to said services. The person should be able to fit their forearm and elbow into a washbasin. There should also be soap or hand santiser facilities available. This ensures maximum cleanliness and hygiene for your guests. The amount of portable toilets required for an event completely depends on how many people are attending, how long the event will take place for, and whether or not there will be alcohol consumption. You can find out more on how many portable toilets you need on our website. Well, that depends on what your event is! For example, if you’re hosting a huge summer festival, we have chemical hot and cold hand washes. 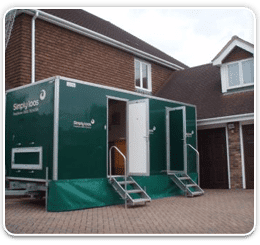 Alternatively, if you are having a garden party, have backstage or VIP areas, or just want your portable loos to be a little fancier, you can hire the luxury toilets. These include mirrors, have carpeted or wooden flooring, flowers, and you can also add extras such as music. We also have urinal hire, disabled toilet hire and toilet servicing facilities available. So don’t leave it until the last minute! Get planning and prepping, and have the best summer yet!